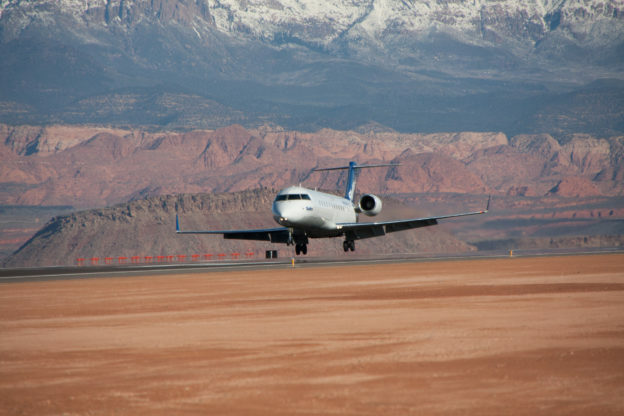 SkyWest pilots have more opportunity, exposure and access than any other regional pilot. With over a dozen domiciles, a fleet of over 360 airplanes, and flying agreements with four mainline partners – United, Delta, American and Alaska, SkyWest has excellent quality of life for every First Officer. And in addition, SkyWest has the best training in the industry. From the moment an aspiring pilot completes an application and passes a pilot interview, they start to experience this unmatched training first hand; staring with the SkyWest Certification Training Program (CTP). 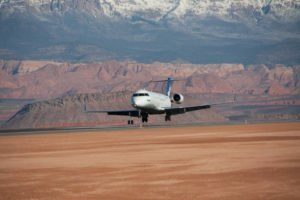 Once a pilot’s application and interview have been accepted, SkyWest will provide the means to complete a SkyWest approved CTP course, which introduces pilots to SkyWest’s rigorous training, while also preparing them to have a smooth transition into ground school. Part of what sets the SkyWest CTP course apart is that the instructors are all current SkyWest pilots. Another benefit of the SkyWest CTP course is that students will be training in the aircraft you will be flying as a pilot at SkyWest. The 10 hours of simulation time will also count toward your total hours. Travel and hotel accommodations, a 65 hour monthly training guarantee, and a CTP study partner are just a few of the other benefits pilots who go through SkyWest’s CTP have. “Overall I was very happy with the CTP program and would highly recommend it to anyone entering the commercial airlines aviation industry,” Adam said. From day one, SkyWest Airlines gives pilots industry leading training. It’s just one of the many reasons SkyWest pilots have more opportunities than any other regional pilot and are sought after by every major airline. Take Control of Your Career. Apply online today.